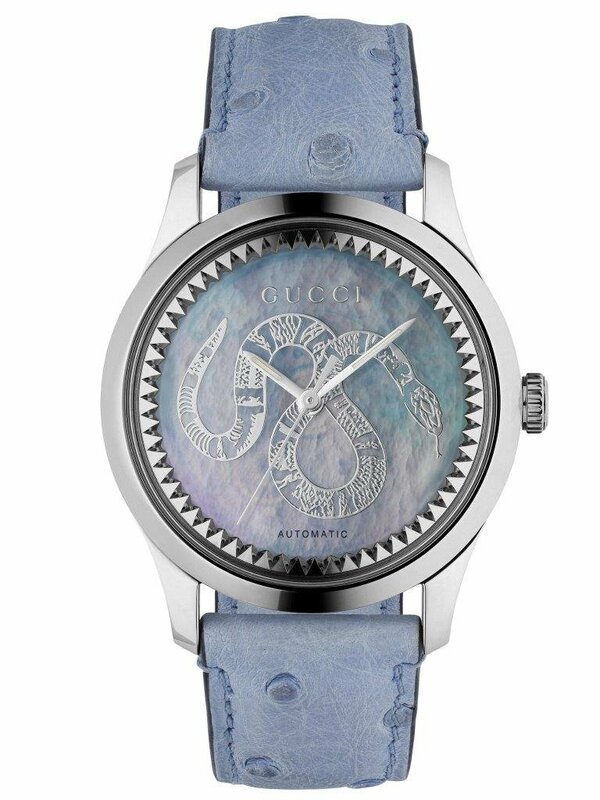 Gucci launchs a new 38mm G-Timeless Automatic watch, offered in a variety of pastel shades. Available in 18kt yellow gold or steel, the new timepiece enriches both the masculine and feminine offering of the automatic line. 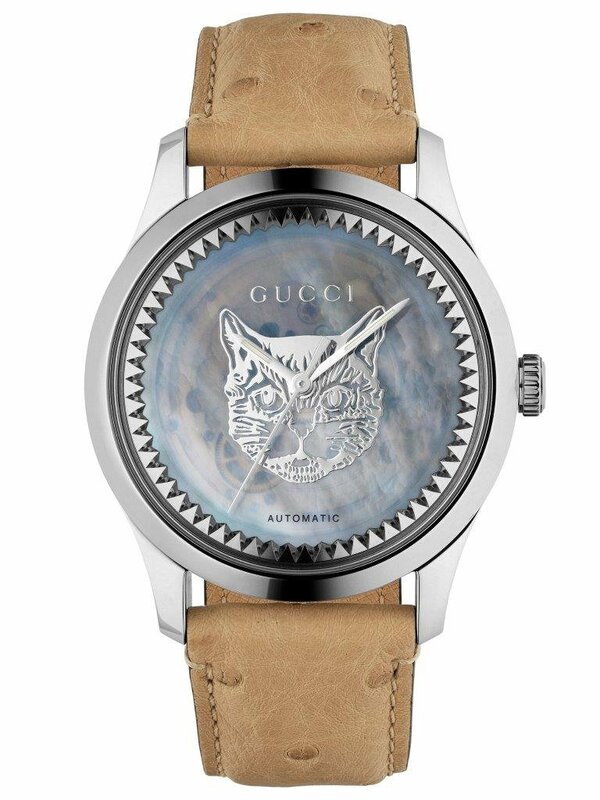 Embellished with an engraved rehaut, the dial shines in transparent mother of pearl, creating an iridescent effect and revealing a glimpse of the automatic movement beneath. 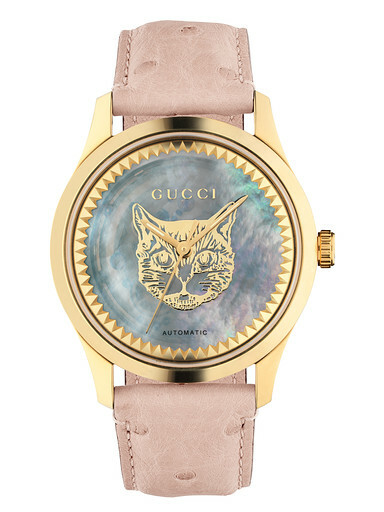 One of the House’s signature animalier motifs, worked in the same metal as the case, also appears on the dial, and the strap is crafted from pastels shades of ostrich. Combining the feline head motif with a pink cipria ostrich strap, the 18kt yellow gold model offers a particularly feminine look. The steel edition appears with a wheat ostrich strap and feline motif on the dial, or with a glicine ostrich strap and king snake motif. The watches all feature sapphire crystal with antireflective coating and are water resistant to 50 m. Blending creativity and attention to detail, they add a unique touch to any outfit.